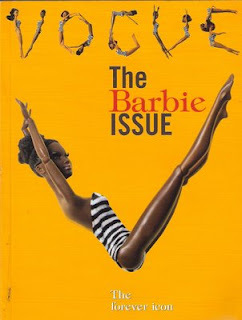 it is an incredible honor to post some of the pics of the The Vogue Black Issue - Barbie. 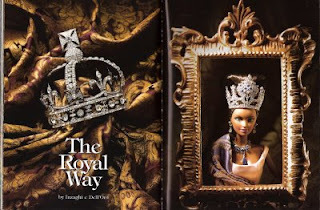 In july 2009 issue, Vogue celebrates Barbie, in a special way, with more than 140 pages completely dedicated to Afro-American Barbie dolls. We got the honor to be part of this project, collaborating in displaying , creating outfits and give sense of barbie style together with the incredible staff of Vogue, from Giovanna Battaglia to Elisabetta Barracchia. 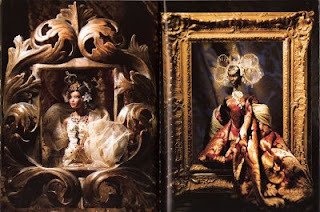 Here are just few pics from the book, and more has to come with our dolls displayed. We also have a special occasion to display some of our dolls in a complete article dedicated to OOAK barbie.